...And the beat continues... Go to 605soul.com for the new scene hub. Castle In The Sky productions thanks everybody who braved the weather for coming to the Halloween Party. Zoop would like to thank everyone in the community who supported us. Unfortunately we have no planned future events. Check the Events page for links to other Promoters. Thanks to everyone who came out to Phat Zoop 4 and made it a very memorable anniversary party! Watch the events page for a new section which will feature upcoming party and contact info for other Rapid City promoters. Tonight! Phat Zoop 4 is on! Please call our info line this evening for directions to the venue (605-355-6163). Click here for more info on the party. 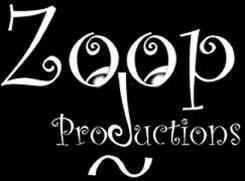 Coming up, Friday the 1st of December, Zoop Productions celebrates its 3 year anniversary... Phat Zoop 4! Click on the Events page for more info. All pages design and content © 2000 Zoop Productions. All Rights Reserved.